You will receive the boat that was promised to you - Rentals you are happy with!! relax with friends and family or fishing for a fun-filled day. 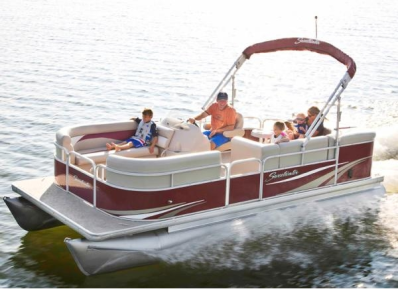 This pontoon boat is not only driver friendly, it is very comfortable and luxurious. If going to the beaches, island hopping, or dolphin watching, this boat is for you. The Sweetwater boat is extremely fuel efficient. Find tranquility with this centre console boat that has a T-top for shade when wanted. This boat allows you a 360 degree range of motion when you are trying to land that big one! Whether used for dolphin watching, fishing, beach boating or just cruising, this fibreglass V-hull makes it very comfortable for all. This powerful fibreglass V-hull boat comes with a 200 hp outboard. This boats drives like a dream, even in choppy waters which your guests will all appreciate. 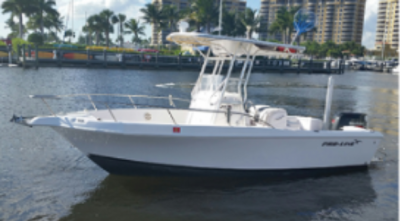 This boat is great for fishing, cruising, dolphin watching and driving to the beautiful beaches of Southwest Florida.